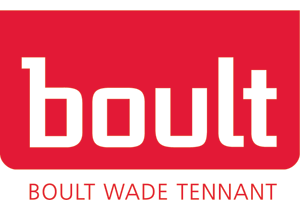 Boult Wade Tennant supports innovation of every kind, no matter where you are in the world. Whether you need to protect your invention, brand or design, challenge the rights of others or maximise the commercial value of your intellectual property, we have the expertise to help you. As a leading IP firm, our patent, trade mark and design teams specialise in advising clients over the full life-cycle of brands, products or systems; from acquisition, exploitation and protection to commercial use, infringement or contentious issues. through to the end – no matter how demanding the time-frame or how complex the challenge. We are one of the UK’s largest IP firms and we are proud of our award winning reputation which we believe demonstrates how seriously we take our client relationships. Exceptional client service is at the heart of how we work. We are focused on you; on your business, on your problems and on how we can help you achieve your commercial objectives. Start-ups, national and international companies, entrepreneurs, governments, universities and other academic institutions can all rely on our unwavering commitment to achieving the best possible outcome for our clients. The approach we take is always tailored completely to your needs.